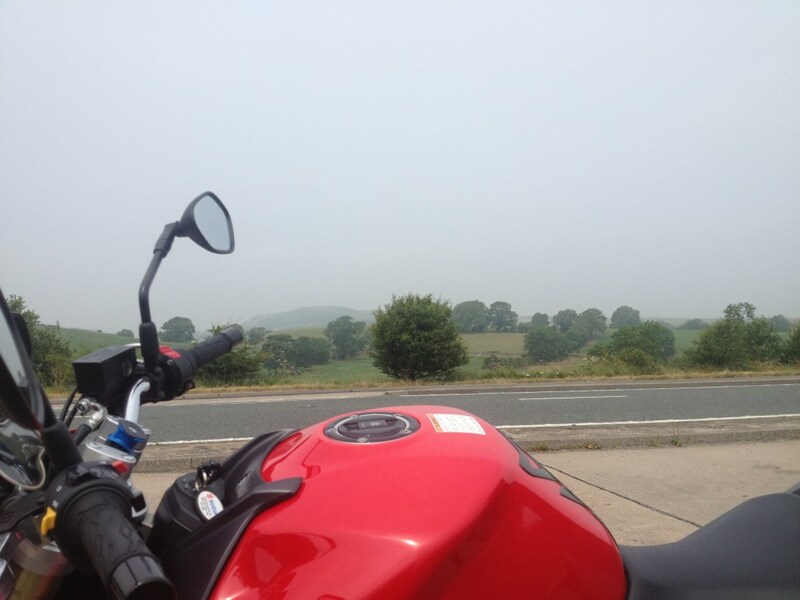 I was on an overseas trip mid June earlier this year and found myself in the unexpected situation of being able to hire a motorbike and tour parts of Scotland and England. The bike hire was the easy part as I had done this before and there are actually plenty of choices for hire in the UK, but clearly I needed some navigational ability traditionally being a land-locked Aussie and a clear choice was to just use my iPhone (unlocked and Tesco £15 SIM inserted) and Google Maps. But how to attach it to my rented Suzuki GSR 750? A quick scour of the internet (I’m not new at this lol) and I turned up something I had seen in a mag before - the Quad Lock Case and mounting system. Noted of course was the tagline ‘fast free local shipping for all orders over $35 to USA, UK and Australia. Perfect. I was on a timeline of ‘yesterday would be good’ as my bike was waiting to be picked up from Cupar Motorcycles up away past Edinburgh. A quick enquiry and a few bob later and a Quad Lock bike kit was on it’s way to me in Motherwell, Scotland. It all panned out really well and from memory the kit arrived in 2 days. What I was surprised at however, all these miles from home, was the welcome kit and letter talking about the birth of this fantastic mounting kit for my phone. I hadn’t even noticed but this was an Australian product made just down the road from where I used to live in Belgrave, Victoria, Australia. Remarkable! The kit is very simple. It consists of a case for your phone, a second waterproof skin and a unique four-point locking stem that has a curved base to fit around most bars, tube frames etc. That is then secured in place via the use of two o-rings. Sounds flimsy, right? It is anything but! For some reason, and I think science and good design are behind this, the way that this clamps onto your handlebars makes it really quite stable. I toured for over 1000 MILES in the glorious UK summer (which included bitter cold and of course rain) and not once did it move or shake or vibrate itself in any way shape or form. I thought that maybe my big thumping twin back home might rattle its bones but it has been a good six months of occasional use on the Ducati with the same pleasing result. I’m a huge fan and supporter of this product and I notice that they have been extending their range of mounts since I purchased mine giving you multiple ways to mount up your iPhone (or Galaxy S4) to your car, desk, tripod or pushie or motorbike.